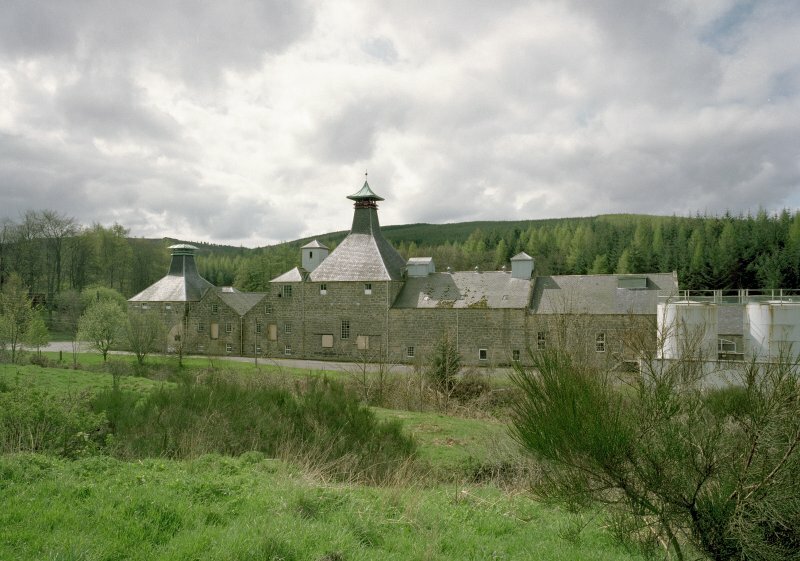 General view of distillery from NE. Digital image of C 67943 CN. View from S showing duty free warehouse number two, maltings and kilns. (Location cited as NJ 240 553). Coleburn Distillery, founded 1896. 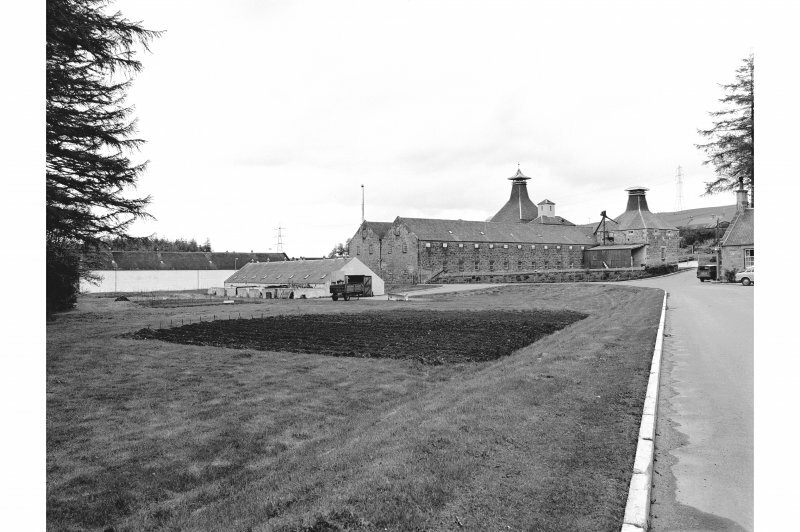 This complex is dominated by a 2-storey, 4- by 12-bay block of maltings, with 2 kilns. Coleburn was built in 1897 by John Robertson and Company Ltd, blenders, Dundee and sold in 1916 to the Clynelish Distillery Co. Ltd. It was owned by John Risk, the DCL and John Walker and Sons Ltd. It was then transferred to the Distillers Company Ltd. and thence to Scottish Malt Distillers Limited (wholly owned subsidiary of DCL) in 1930. 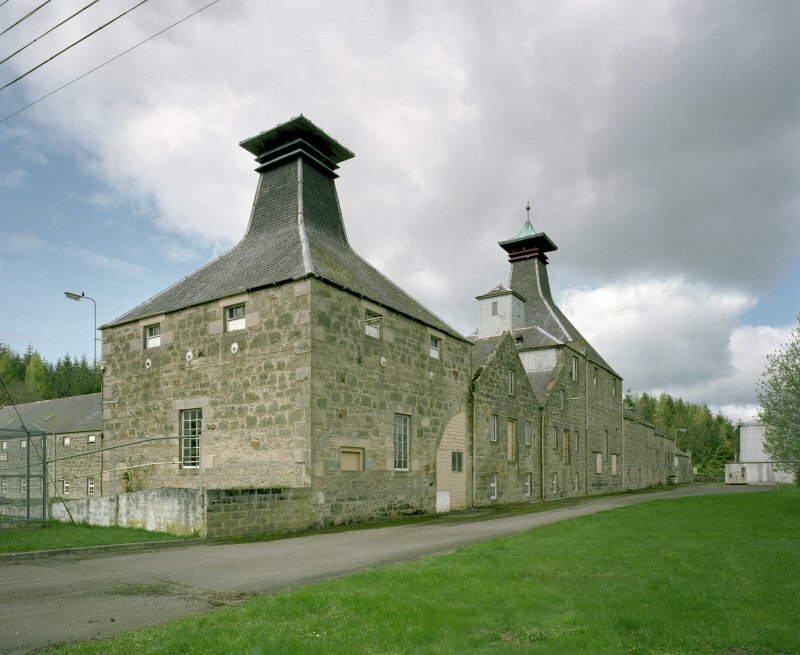 It had two stills in 1980 and was liscensed to J & G Stewart, Edinburgh.